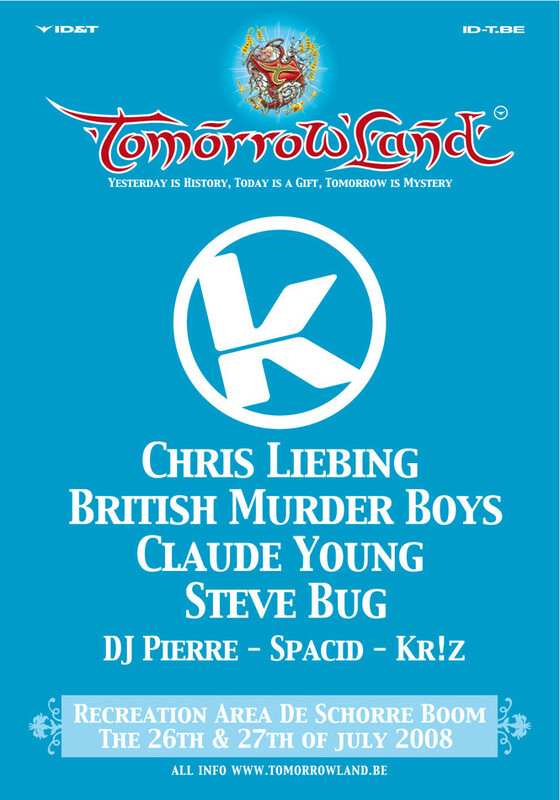 Kozzmozz is proud to be part of Belgiums only full worthy open-air dance-festival, Tomorrowland, since day one ! After the great success of the previous years, we had to be there again this year, especially since the festival is now becoming a lot bigger and more spectacular and the additions to the line-ups are extremely impressive with two full days of music ! On Saturday, July 26th and Sunday, July 27th the recreational area, De Schorre, will be transformed into a gorgeous festival domain for the fourth time. More than 20.000 party-people will be able to experience a whole weekend long, one of the most beautiful festivals of the summer. Spectacular stages, colorful acts and lots of beautiful decorations : fountains, laser-shows, outdoor fireworks and DJ’s who are giving the best of themselves whilst enjoying the enthousiasm of the party-crowd in front of them. And in the middle of all this magic Kozzmozz brings the best of the current dance-scene for an unbelievably attractive festival line-up …. Since more than 12 years Kozzmozz stands for all that ’s hot and refreshing in teh techno-scène of the moment. Lots of big names have passed on Kozzmozz ( Jeff Mills, Green Velvet, Joey Beltram, Dave Angel, Speedy J, Kevin Saunderson, ... ) but even more important are those artists who are musically innovating and internationally recognised in the more pure and underground techno scene ( Johannes Heil, Inigo Kennedy, Julien&Gonzague, Oscar Mulero, 2000andOne, Shinedoe, ....). Our resident Kr!z of Token Records also always gets the company of Belgiums leading techno-dj’s. Our newest concept Ultra which features the more minimal sounds gets a place on Kozzmozz with resident Spacid at the forefront, also on this edition of Tomorrowland ! We will start the day in our tent a bit more laidback / minimal but will surely build up the pace to what will undoubtedly be a huge climax of a great day ! Ultra resident Spacid will warm up teh crowd for Steve Bug. Steve Bug is the man behind labels as Dessous Recordings, Pokerflat and since 2004 also Audiomatique on which all together have appeared more than hundred releases who are all adored world-wide. He’s mixed compilations for clubs as Fuse and Fabric and can also be found on labels as Plastic City, Cocoon, Data, Azuli and many others. One of the great minimal masters of these times ! Pierre of Lessizmore will without a doubt perfectly know how to take over from Steve and know how to drive up the tempo before Claude Young takes over the decks. Born and raised in Detroit , he trained around the globe in the art of sonic combat (also literally for those who’ve seen him at work). From remixes to a string of DJ tours, his emphasis is always on quality and innovation. This can also be heard in his productions on 7th City, Dow Records, Missile, Djax-Up-Beats and Axis. More recently he started his own label Cynet:media on which albums appeared from himself and Orlando Voorn. British Murder Boys have been replaced by Frequency 7. This means that Anthony Child, better known as Surgeon will still be there but his partner this time will not be Regis but Ben Simms ! A soundclash of styles from two mixmasters, Ben Sims Vs Surgeon. Both undisputed leaders in their chosen musical disciplines, now performing together to create something truly fresh! They create a uniquely improvised experience from combining elements of techno, funk, dub, house, hip hop, disco, Industrial etc. and utilizing turntables, CD decks, FX and all the latest Hardware/ Software technology. Taking its name from the highly influential track Frequency 7 by 80´s electro pop outfit ’Visage’, a futuristic electronic funk classic that was an inspiration for producers on both sides of the Atlantic, the project has been road tested in a series of secret gigs and audiences knew that they were at the birth of something special. A witness was heard to say, "This is the greatest thing that ever happened to me." Since those early days Frequency 7 have played some great club shows and have headlined festivals in all important countries ­ be prepared for an unbelievable experience! Chris Liebing is about the only German techno dj. who comes close to Sven Väth. He has been proclaimed best national dj. and came out as best producer and remixer in a lot of polls of magazines. He also runs his own night in Ibiza with the Spin Club parties that can also be found all over the world. Next to his famous CLR imprint, he also just launched Spin Club Recordings on which the first release is a compilation with video images of the Spin Club parties in Space, Ibiza. The Kozzmozz tent will be closed in style by our resident Kr!z who – with his unbelievable technique and knowledge of the K-sound – will make the crowd go so crazy that they will undoubtedly go home completely satisfied ! !